The Epson EB-1776W sets a high standard for widescreen projectors with its ultra sleek design and energy efficient lamp. It delivers value, convenience and performance. Engineered for radiant, big-screen presentations, the EB1776W features native WXGA (1280 x 800) resolution — a must-have for delivering HD video content or high-resolution images from your widescreen notebook. Couple that with 3000 lumens colour / white light output, and the results are truly amazing. iProjection –Display and control content from your iPhone®, iPad® or iPod® touch with the Epson iProjection App and any nearby wireless or networked Epson projector. 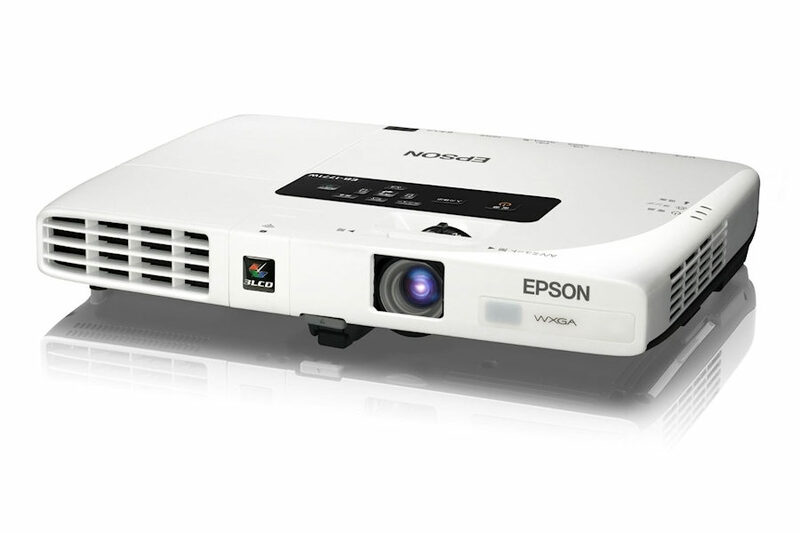 The Epson EB-1776W was designed for absolute ease of use. Simply turn on the power, direct the projector towards the screen or wall and the image is automatically adjusted with any vertical keystoning corrected. 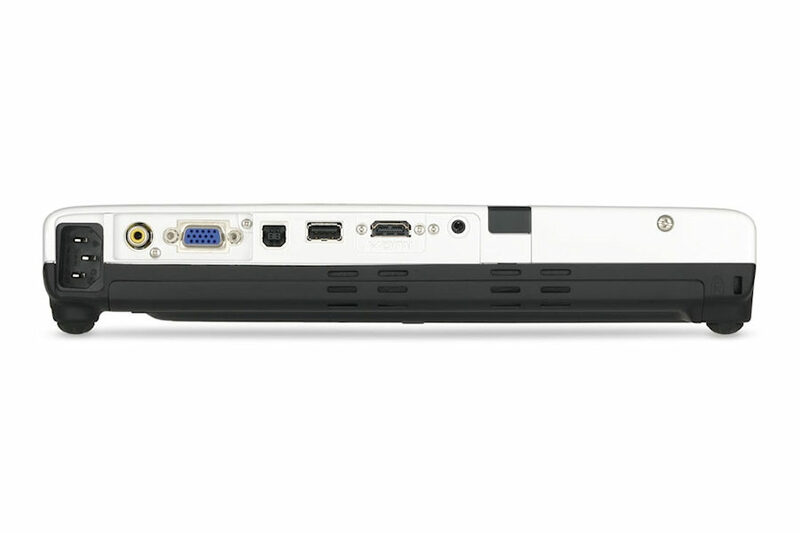 In line with the screen aspect of most notebook PCs, the EB1776W can project in a native WXGA widescreen aspect, meaning no complications. Simply connect, and project! With the EB1776W you can remove the need for untidy, complicated cabling, and connect to your 802.11b/g/n wireless network via the ELPAP07# wireless LAN module. For added simplicity, the ELPAP08 USB Quick Wireless Connection Key enables users to make a quick peer to peer connection to a PC. Display and control content from your iPhone®, iPad® or iPod® touch with the EPSON iProjection App and any nearby wireless or networked Epson projector. Whether projecting a PowerPoint® presentation loaded to the iProjection App or a photo slideshow from your iPad, Epson's iProjection gives you the wireless freedom you've come to expect from your mobile device. This App is easy to use and navigate with intuitive menu options that make it simple to bring your iOS content to the big screen. The EB1776W can display your presentation with image, audio and mouse control via a connection to a PC or Mac with a simple USB cable. You can also create and display images directly from a USB memory device, making it possible to give presentations without the need for a PC. DICOM (Digital Imaging and Communication in Medicine) is a standard for handling, storing, printing, and transmitting information in medical imaging, which includes a file format definition and a network communications protocol. The DICOM simulation mode in the EB-1776w can reproduce images with gray level very close to DICOM Part 14 (Grayscale Standard Display Function). This mode is ideal for viewing grayscale medical images such as X-ray pictures for training and education in the medical institutions. Project two images (video or still) side-by-side from two different sources simultaneously. Choose from three layout options. You can swap the images as well as choose the source for audio. Users can display PDF or motion JPEG files saved to a USB flash drive directly from the projector, no conversion needed. 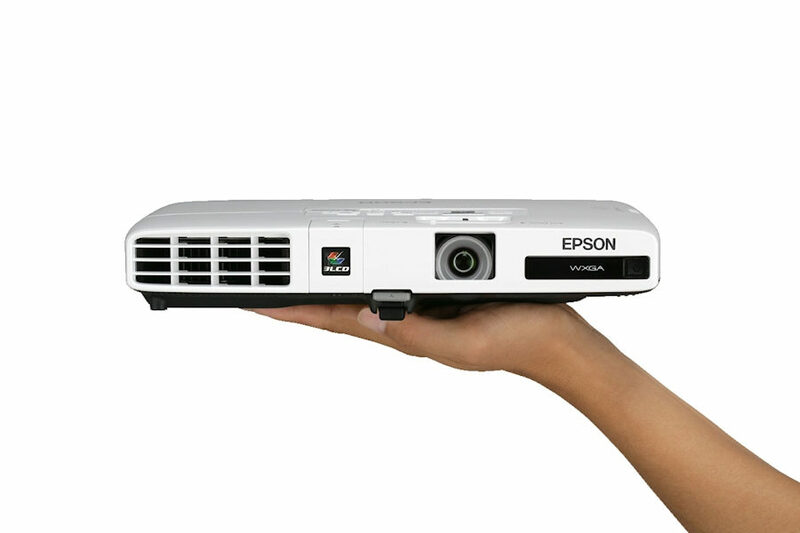 Further enhancing suitability to the modern corporate environment is the ability for the EB1776W to connect directly to the Epson ELP-DC06 document camera / visualiser. These Epson products feature unique technology enabling them to connect via USB and provide full operation without the need for a PC. At Epson, we know that planning for the future requires a strong commitment to the environment. That's why these products conform to the new European Directive on Eco-Design of energy using products. The main objective of this directive is to ensure energy efficiency throughout a product's lifecycle. Each of the models in the EB-1700 series conform to the criteria of this directive. Lamps can blow, if you need your projector working and can't afford down time, you may need to keep a spare lamp. The replacement projector lamp for the Epson EB-1776w is the ELPLP65.